Nurses play a critical role in the recovery of patients in every healthcare environment. All nurses – including certified nursing assistants (CNAs), licensed practical nurses (LPNs), and registered nurses (RNs) – are at the forefront of delivering quality healthcare to the residents of Virginia Beach. Despite the shared objective of all nurses, each nursing role requires a unique level of education. CNAs must only complete a brief training program and pass a state-administered examination. LPNs require a lengthier 12- to 18-month certificate program, and they must pass the strenuous NCLEX-PN national licensure exam. RNs may choose one of four education pathways: hospital diploma, associate’s degree in nursing (ADN), bachelor of science in nursing (BSN), or direct-entry master of science in nursing (MSN). Regardless of pathway, all aspiring RNs must pass the NCLEX-RN national licensure exam. Regardless of role, the nurses of Virginia Beach are in high demand as the city’s healthcare industry expands. Local nurses can find ample job opportunities at major healthcare providers like Bon Secours Health System, Maxim Healthcare Services, and Sentara Healthcare. The strong demand also leads to higher salaries. Nursing pay in the Virginia Beach area averages $23,000 per year for CNAs, $37,500 annually for LPNs, and more than $60,000 per annum for RNs. 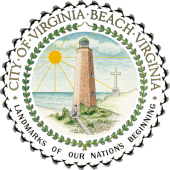 To help the city’s aspiring nurses, we have compiled below a detailed list of nursing programs in Virginia Beach, Virginia.